Frederick IV (French : Ferry) (15 April 1282 – 21 April 1329  ), called the Fighter, was the Duke of Lorraine from 1312 to his death. Frederick was born in Gondreville, the son and successor of Theobald II and Isabella of Rumigny. Gondreville is a commune in the Meurthe-et-Moselle department in north-eastern France. It was a base for the United States Air Service during World War I.
Theobald II was the Duke of Lorraine from 1303 until his death in 1312. He was the son and successor of Frederick III and Margaret, daughter of King Theobald I of Navarre. On 18 October 1314, at the Diet of Frankfurt, the prince-electors of the Holy Roman Empire failed to elect as successor to Henry VII, Holy Roman Emperor, either the Habsburg claimant, Frederick the Handsome, the duke of Austria, or the Wittelsbach, Louis IV of Bavaria. By marriage to Elisabeth, daughter of Albert I of Germany, Frederick was the brother-in-law of Frederick the Handsome, called Frederick III of Germany by his supporters, of whom Frederick of Lorraine was one. On 28 September 1322, at the Battle of Mühldorf, both Fredericks were captured. This was an opportunity for Charles IV of France to strengthen the Lorrainer ties to France and he quickly procured the duke's release on the promise that Lorraine would not interfere in imperial affairs. 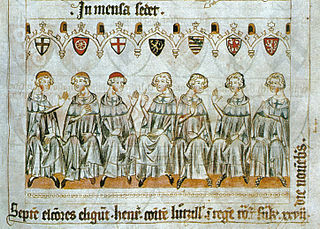 In 1324, he participated in an expedition in Aquitaine against Edward II of England's estates, for Charles IV had built a fortress illegally on Edward's territory and had sent his uncle, Count Charles III of Valois, against the English possessions after Hugh le Despenser and the Younger Despenser imprisoned Isabella of France, Charles IV's sister and Edward's queen. He took part in the War of Metz in 1325 and 1326. He joined Philip VI of France, Charles of Valois's son, on his succession in 1328 and died in the Battle of Cassel. 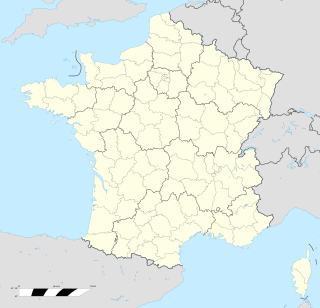 Aquitaine, archaic Guyenne/Guienne, is a historical region of France and a former administrative region of the country. Since 1 January 2016 it has been part of the region Nouvelle-Aquitaine. It is situated in the south-western part of Metropolitan France, along the Atlantic Ocean and the Pyrenees mountain range on the border with Spain. It is composed of the five departments of Dordogne, Lot-et-Garonne, Pyrénées-Atlantiques, Landes and Gironde. In the Middle Ages, Aquitaine was a kingdom and a duchy, whose boundaries fluctuated considerably. Edward II, also called Edward of Carnarvon, was King of England from 1307 until he was deposed in January 1327. The fourth son of Edward I, Edward became the heir apparent to the throne following the death of his elder brother Alphonso. Beginning in 1300, Edward accompanied his father on campaigns to pacify Scotland, and in 1306 was knighted in a grand ceremony at Westminster Abbey. Following his father's death, Edward succeeded to the throne in 1307. He married Isabella, the daughter of the powerful King Philip IV of France, in 1308, as part of a long-running effort to resolve tensions between the English and French crowns. Hugh le Despenser, sometimes referred to as "the Elder Despenser," was for a time the chief adviser to King Edward II of England. Auberive is a commune in the Haute-Marne department in the Grand Est region in northeastern France. Freiburg im Breisgau is a city in Baden-Württemberg, Germany, with a population of about 220,000. In the south-west of the country, it straddles the Dreisam river, at the foot of the Schlossberg. Historically, the city has acted as the hub of the Breisgau region on the western edge of the Black Forest in the Upper Rhine Plain. A famous old German university town, and archiepiscopal seat, Freiburg was incorporated in the early twelfth century and developed into a major commercial, intellectual, and ecclesiastical center of the upper Rhine region. The city is known for its medieval minster and Renaissance university, as well as for its high standard of living and advanced environmental practices. The city is situated in the heart of the major Baden wine-growing region and serves as the primary tourist entry point to the scenic beauty of the Black Forest. According to meteorological statistics, the city is the sunniest and warmest in Germany, and held the all-time German temperature record of 40.2 °C (104.4 °F) from 2003 to 2015. The House of Habsburg, also called the House of Austria, was one of the most influential and distinguished royal houses of Europe. The throne of the Holy Roman Empire was continuously occupied by the Habsburgs from 1438 until their extinction in the male line in 1740. 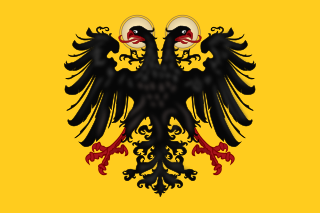 The house also produced emperors and kings of the Kingdom of Bohemia, Kingdom of England, Kingdom of Germany, Kingdom of Hungary, Kingdom of Croatia, Kingdom of Illyria, Second Mexican Empire, Kingdom of Ireland, Kingdom of Portugal, and Kingdom of Spain, as well as rulers of several Dutch and Italian principalities. From the 16th century, following the reign of Charles V, the dynasty was split between its Austrian and Spanish branches. Although they ruled distinct territories, they nevertheless maintained close relations and frequently intermarried. Louis IV, called the Bavarian, of the house of Wittelsbach, was King of the Romans from 1314, King of Italy from 1327, and Holy Roman Emperor from 1328. Rudolf I, also known as Rudolf of Habsburg, was Count of Habsburg from about 1240 and King of Germany from 1273 until his death. Charles VII was the Prince-elector of Bavaria from 1726 and Holy Roman Emperor from 24 January 1742 until his death in 1745. A member of the House of Wittelsbach, Charles was the first person not born of the House of Habsburg to become emperor in three centuries, though he was connected to that house both by blood and by marriage. Charles the Bold, baptised Charles Martin, was Duke of Burgundy from 1467 to 1477. He was the last Duke of Burgundy from the House of Valois. The House of Lorraine originated as a cadet branch of the House of Metz. It inherited the Duchy of Lorraine in 1473 after the death of duke Nicholas I without a male heir. By the marriage of Francis of Lorraine to Maria Theresa in 1736, and with the success in the ensuing War of the Austrian Succession, the House of Lorraine was joined to the House of Habsburg, and was now known as Habsburg-Lorraine. Francis, his sons Joseph II and Leopold II, and grandson Francis II were the last four Holy Roman Emperors from 1745 to the dissolution of the empire in 1806. Habsburg-Lorraine inherited the Habsburg Empire, ruling the Austrian Empire and Austria-Hungary until the dissolution of the monarchy in 1918. Leszczyński was a prominent Polish noble family. They were magnates in the Polish–Lithuanian Commonwealth. Joan of Valois was the second eldest daughter of the French prince Charles of Valois and his first wife, Margaret, Countess of Anjou. As the sister of King Philip VI of France and the mother-in-law of Edward III, she was ideally placed to act as mediator between them. The Leopoldian line was a sequence of descent in the Habsburg dynasty begun by Duke Leopold III of Austria, who, after the death of his elder brother Rudolf IV, divided the Habsburg hereditary lands with his brother Albert III according to the 1379 Treaty of Neuberg. The Count of Hainaut was the ruler of the county of Hainaut, a historical region in the Low Countries. In English-language historical sources, the title is often given the archaic spelling Hainault. Mahaut of Châtillon was the daughter of Guy III of Châtillon and Marie of Brittany. Elisabeth of Bohemia (1358–1373) was the daughter of Charles IV, Holy Roman Emperor, and Anne of Schweidnitz. She was named after her paternal grandmother, Elisabeth of Bohemia (1292–1330). Elisabeth of Austria, also known as Isabelle, was a duchess consort of Lorraine, and regent of Lorraine during the minority of her son from 1329 until 1331. She was a daughter of Albert I of Germany and his wife Elisabeth of Gorizia-Tyrol. She was a member of the House of Habsburg.